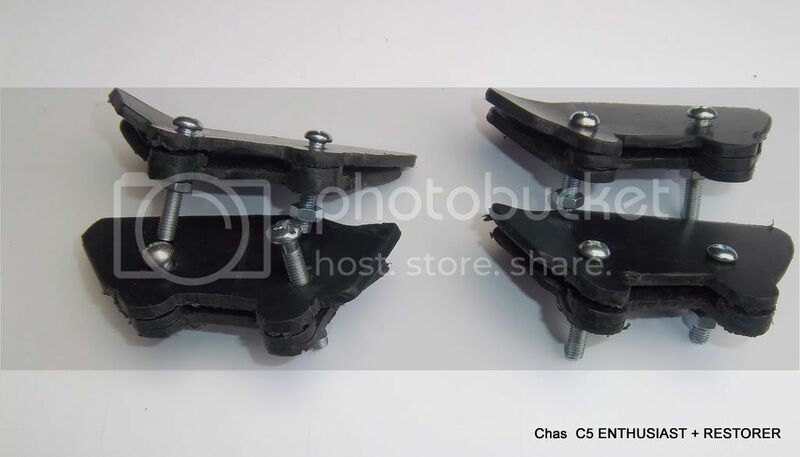 does any have a pair of the mirror bracket for the right side? i purchased a couple on ebay b ut one bracket is missing.. Unfortunately the raisin I worked with was to hard, so after a while it broke. Since a little while, you can use a 3D scanner/printer. It scans the spacer-plate or the bracket plate (I don't know which one you are missing) and then with a laser (via cad-cam), copies/burns the item out of a piece of plastic. If you have the lefthand side complete, you can use this as a model and then mirror the 3d-scan to get your right side plate. Second option is to make a mal. Fill this with plastic foam and let it harden. Paint it Black (hé, that sounds like nice music ) and ready. my plan was to remade those in aluminum ..
but for that i need a couple of original and for now i have only for the left side..
Must look really sharp, to have them in aluminum. There is a small downside in this great idea, however. I found out that the one I made from raisin was very stiff and rigid, as I suppose the aluminum will be as well. This made my Sinclair very vulnerable. If you touch anything with this mirror, on the road or in storage, it has a tendency to break or tear off from your sinclair, leaving the C5 damaged (or just the mirror). Since I have mounted the soft plastic/rubber brackets, it is more flexible and the view is more smoothly. The hard bracket mounted mirror trembled much more. I had the suggestion from a forum-member to use Sugru. This is a kind of plastic dow, (like chewing gum), that hardens in 24 hours after exposure to air. The bad side off this is that it is extremely sticky, so you have to make a bracket shaped slice, put plastic foil on both sides, hold the slice on the right spot on the side of the sinclair and push the mirror firmly in it. Let it be for an hour or so (with clamps), then with a sharp knife and a steady hand cut the Sugru that sticks outside the mirror in the desired shape. Let it dry a little more and you have a perfect shaped bracket. Doesn't matter that it looks not perfect inside the mirror course you can't see that. When dry, remove the plastic foil, drill the holes in the bracket and your done. Hi here are some of the mirror brackets I make for myself ..
That's some great work Chas. I only wish I had a pair of mirrors to enable me to use a set of your brackets. I'm still on the lookout for a pair which wouldn't involve me selling both kidneys first! Can you make money Chas You are so good and the reproduction of parts. Great effort with these brackets. Top! How do you do it? What materials do you use. 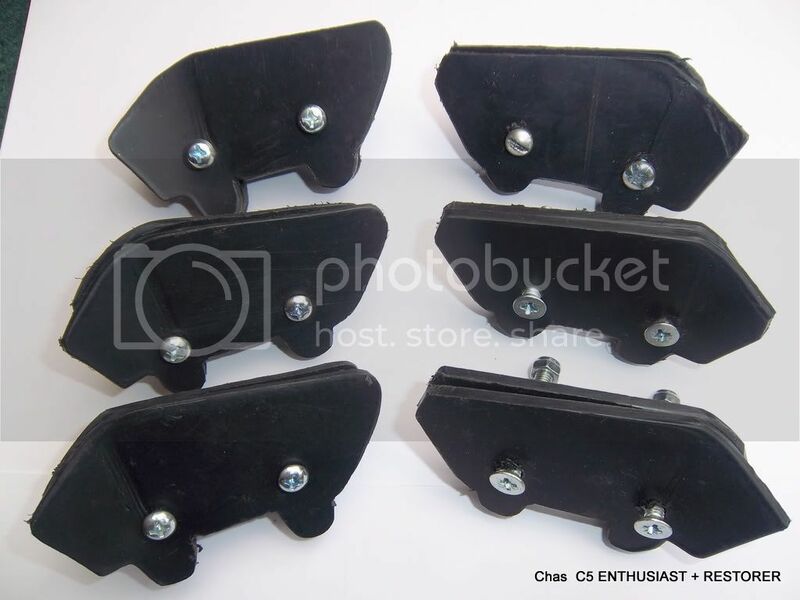 I managed to make those boot clips as well, but, since I have to lift my sinclair up from time to time and I can only do this by lifting the front first, followed by the rear side wherefore I have to put my hands in the small space between the tyres and the body and lift it up, then the clips snap in two. I have limited power in my arms (reuma) so I can't dose the force I use exactly. Therefore I was very pleased with the spring cotter solution. they won't break. But your brackets. Did I say "Wow" already? how does it work with your made brackets? im really interested in buying a pair for one of mine C5..
how much do you charge included postage to Sweden? for the payment i have Paypal..